This post contains affiliate links, including Amazon.com. As an Amazon Associate, I earn from qualifying purchases. For more information, see my full disclosures here. After a lot of trial and error, here are my very favorite natural beauty products that I think are excellent and actually provide great performance! I tend to be quite picky when it comes to beauty products and get so frustrated when a product just doesn’t live up to the hype. I also am not really satisfied when something gives me just “okay” results: those are the types of things I try to keep searching for something awesome on and usually stop when I find the thing that impresses me the most in any category. 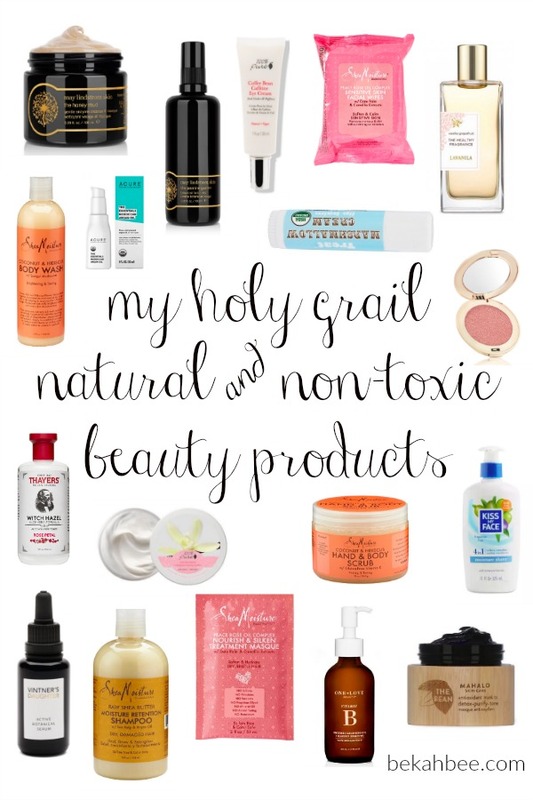 Although green beauty has come SO FAR since I started this journey (seriously it’s about 100x easier to find great natural products now since it became more popular and some of my staples can be found at Target now) there are still some things that I am searching for a more amazing version of. I used to just deal with my inferior natural products in those categories, but these days I am just getting the conventional versions until I find a better alternative. I got kind of tired of being dissatisfied with the performance on things like hair styling products, etc. Another huge factor in this journey has been budget, of course! As my husband and I have gotten to a more financially secure place as we get a bit older, it has been easier to justify investing in some of the more pricey big-ticket items, as long as the payoff is worth it! I have definitely noticed a HUGE difference in certain skincare items, for example working way better the more pricey they are. Sometimes you get what you pay for and others, a budget option works great! Currently, I have an assortment of budget and high-end green beauty faves in my lineup. I don’t always have all of these things on hand, as I tend to get the nicer things as budget allows, but these are all the things I find the best in each category! My favorite natural perfume is the Lavanilla line. The most delicious one I think is Vanilla Grapefruit, but it is an almost equal tie with the Vanilla Lemon. They are all super yummy though! My go-to foundation is the Jane Iredale Full Coverage Mineral BB Cream in shade BB3. I don’t consider this completely a Holy Grail but it’s the one I tend to go back to over and over because it is pretty great and nothing else works as well for me yet. The coverage is amazing and I love that it has SPF, but it is too glowy for me and I always have to set it with powder, which ends up making me look a bit too cakey, but it’s ok for now till I find something better. I really really loved Gressa’s Serum Foundation when I got my first bottle, but this current one is a bit too glowy and I stopped it for a while because I was breaking out and switching back to it was something I had just done. I will decide soon if I still love it or not! My current go-to concealer is the Hynt Beauty concealer, and it is pretty great but I am also still hoping for an even better one. A few of these I had found things I really loved at one point, but sometimes the formulas changed or maybe the other things I layered with them changed. I have heard great things about the entire Fitglow line, including their mascara but have yet to try any of their products. I want to try that Marshmallow Cream lip balm! Sounds so yummy! (And my lips get chapped real bad.) Have you tried Lavanilla’s deo? I feel like my body chemistry has changed with pregnancies, and some of the natural deodorants that used to work for me suddenly stop working as well. So I’m still shopping around a bit. Also, have you tried any of the skincare/makeup from Tata Harper? There are a few things there I want to try–mostly the lip colours and blush. Oh! And have you tried Target’s fragrance line, Good Chemistry? I don’t think they’re 100% natural, but I’m curious to hear your thoughts. I haven’t tried any yet, but they looked intriguing. I love that chapstick! The funny thing is it doesn’t actually taste or smell that much like marshmallow (to me at least) but more like vanilla and coconut. It’s really great though. I haven’t tried Lavanilla’s deodorant yet, although I’ve considered it! I am at this super annoying phase with natural deodorant where the ones with baking soda are giving me a rash, but the ones without it just don’t cut it when it comes to odor control! A lot of people tend to switch between different ones since it seems like maybe your body gets used to one and then it stops working. 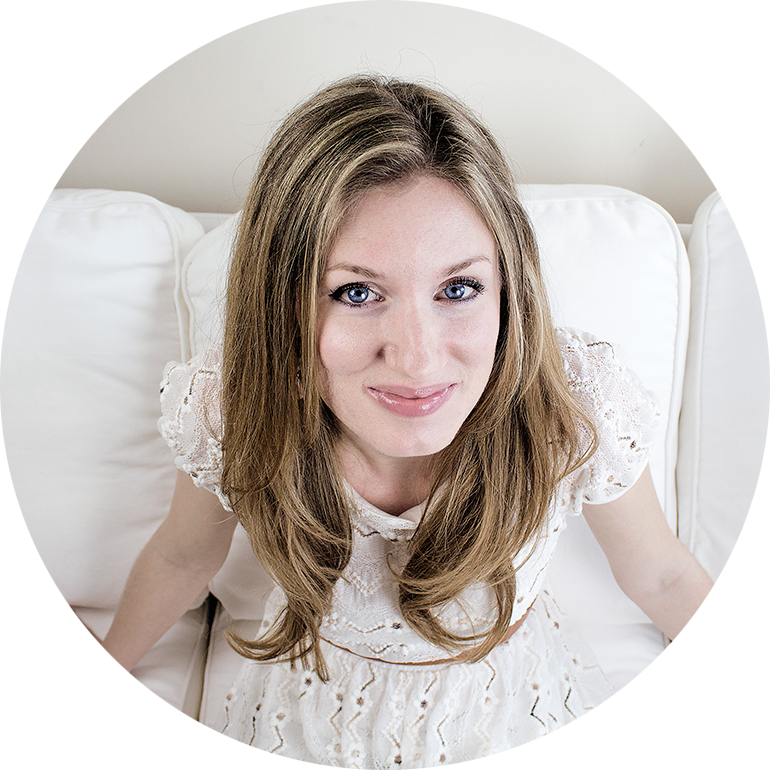 I follow the Organic Bunny, and she has tons of great recommendations. She was talking about this soap called Kaia Naturals The Underarm Bar, which if you wash with it in the morning, it is supposed to control the odor-causing bacteria throughout the day. I am super intrigued and wonder if washing with that and then following with a baking soda free deodorant might work for me! I haven’t tried any Tata Harper things yet, although I would like to! I feel like her line is a similar counterpart to May Lindstrom, just as pricey and just as luxe, for skincare at least. Her packaging is to die for! So pretty. I have gifted the lip and cheek tint to my sister though, I thought it was SO pretty. I have smelled some of those perfumes at Target and I like one or two of them but haven’t bought them yet. And yes, I think it isn’t 100% natural, but maybe a good in between since it says it is free of parabens and phthalates etc! Sometimes I wonder how a brand can say that when I believe there can be phthalates within anything that says “fragrance” or “parfum”. So I don’t know if their claims are referring to everything outside of the ingredient “fragrance” or within it as well. It’s so complicated with perfume and fragrance because a ton of chemicals can be hidden in there since fragrance is considered a trade secret and they don’t have to say what is in it! I am honestly not being too crazy about that right now since I occasionally do use some conventional perfumes on my hair and clothes but I have tried to cut out most other things with that in our lives. It does annoy me that companies are not more transparent though! That sounds familiar with the deodorant troubles–bs versions are too irritating, but bs free doesn’t cut it. I have a couple of different sticks and I rotate and that seems to help. I also apply that Thayer’s rosewater toner to my underarms after washing, and then put on the deo after that. That works well and helps the bs deos not to irritate my skin. I may try one of the Target perfumes and some Tata Harper this Christmas, and if I do I’ll let you know how they turn out!